Review Context: I like playing most fighting games, from Street Fighter to Mortal Kombat. I can play games that are “pick up and play,” to more complex control schemes. Because of that, I usually try to play with a fighting controller instead of a normal gaming controller. Virtua Fighter is the only fighting franchise I cannot do well in because of the complex combos. Disclosure: This review is based off of a review copy provided by Sega. 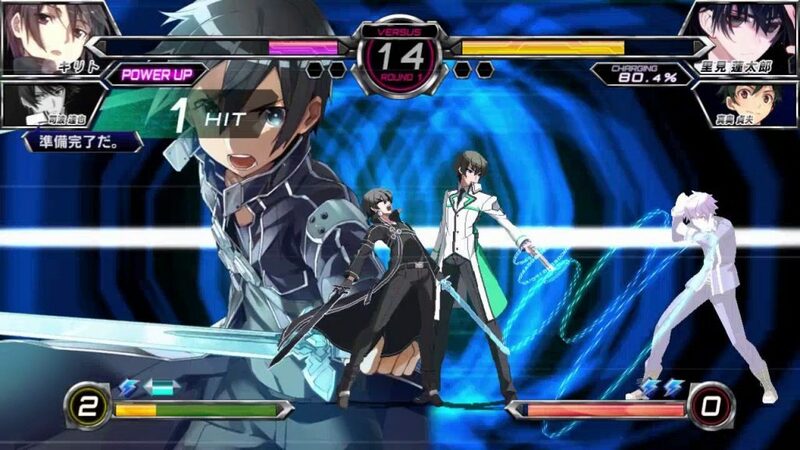 To celebrate twenty years in the manga business, ASCII Media Works’ Dengeki Bunko thought it would have an arcade fighter be made to have players fight against other characters from Dengeki Bunko mangas ranging from “The Devil Is a Part Timer” to “Sword Art Online.” As with most arcade fighters, it has now hit the console scene, though the console version has been available in Japan for the past year. Fans overseas now have a chance to play this. 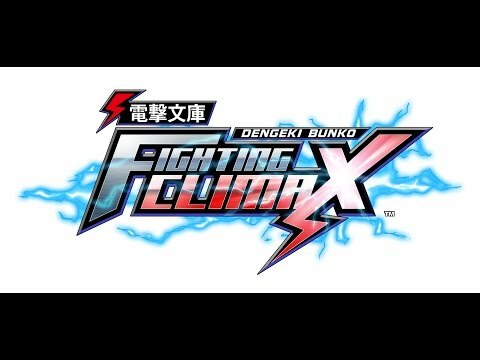 Will this be a nice change of pace for the fighting genre, or will the over the top style of the game turn people off? From the opening scene you will notice that this is a 2D fighter with 3D backgrounds. The HD sprites of the characters look nice and clean. It’s nice to see traditional animation still used as a medium, however, when you perform a climax move the camera will zoom in on the character causing the pixelization to become noticeable. During arcade and Dream Duels, when the fighters are talking to each other you think the models are 2D, but when they move you’ll notice it’s 3D trying to look 2D. The fighting animation is well done with no issues of framerate, no matter how crazy the combos and special moves get. 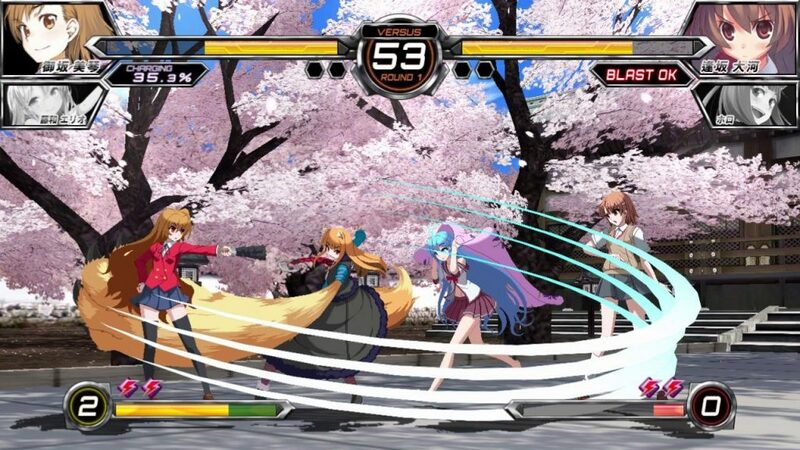 This is a fighting game that uses a four button scheme. You have light, medium and heavy attack, and the fourth button is for assist. Assist is your back up character to help you like in the Marvel vs Capcom series. You have the ability to customize the button layout to your liking. I would put this game in the “pick up and play” category because of the four button layout, and that the special moves (climax) require moving the d-pad (or analog stick) in a quarter circle motion, while pressing light and heavy attack. 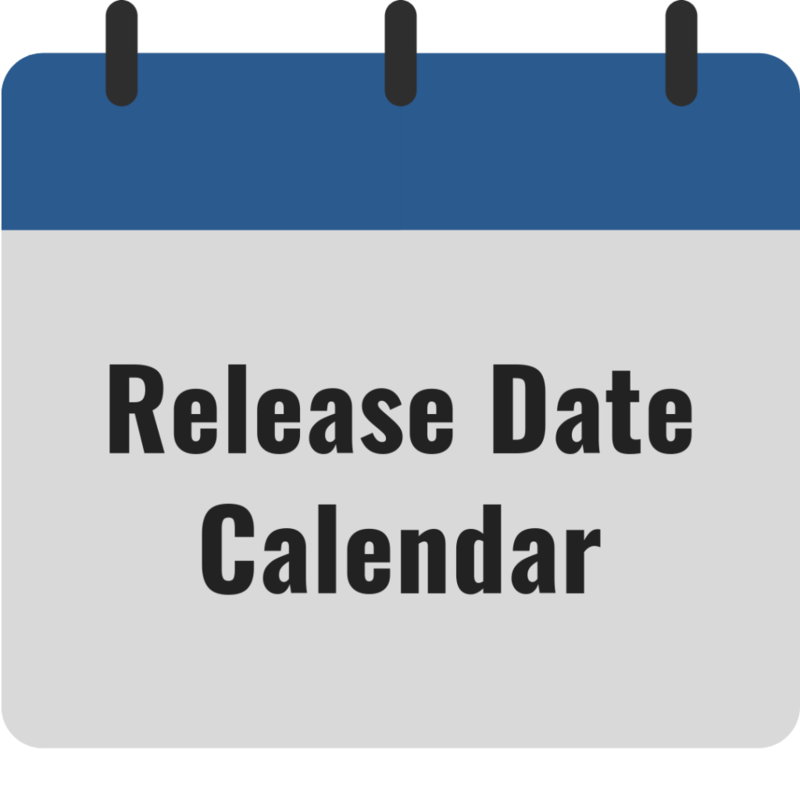 There are some perks as well which will be explained in a bit. While the gameplay is easy and doesn’t require too much memorization, linking up impressive combos will take some getting used to. What better way to celebrate twenty years for a manga company then to release a fighting game as a thank you to the fans. 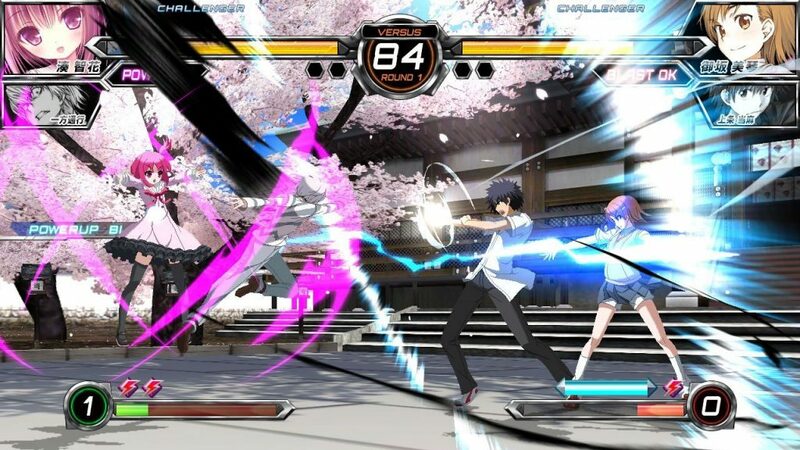 As stated earlier, the gameplay is easy but has a lot of depth to make it a competitive fighting game. After you choose a fighter, you have to choose an assist character that will aid you in battle for short spurts. You can command the assist to defend you or attack the enemy. With this you can link combos with your assist. As you build combos, your Climax Gauge increases to help you perform EX or Climax Arts. EX moves makes normal attacks double the damage, while Climax Arts is the fighter’s special move (risk reward move). Trump Cards gives you limited ability for increased damage and add more depth to your combos. Armored Attacks is the game’s version of the combo breakers, as it helps stop movement of the opponent when they have you in a combo or a move you do to form a quick shield to back them off. The movement of the game is fast, as your fighter has the ability to double jump, dash, super jump, and have air attacks. There are a decent amount of modes in the game to keep you occupied. Arcade mode has you going through the character’s story to the final boss, as well as unlocking new fighters and assists. Dream Duel is a must play, as it has different fighters with a “what if” crossover story with characters from different series with similar traits fighting each other. As you beat the game with different fighters, you unlock credits that you can use to buy items in the shop to jazz out your profile icon. You also unlock each fighter’s bio and manga covers. The extra bonus bit I thought was nice is having the voice actor or actress’s signature on your profile. That perk is expensive, but shows how much you love the franchise to have that person’s signature on your icon. Of course, there is a training mode to help make you a better fighter. Challenges have you going for ranks on the leaderboard with different modes. Time Attack has you seeing how long it takes for you to finish the game. Score Attack has you going for high combos for better points, while Survival sees how many fighters you can take down with one life bar. For multiplayer, there is two player support for local and online mode. Online matches have ranked and player matches. You can also create a lobby for other players to join. There is no voice chat support, but they do give you quick messages to post or you can use the chat feature for typing longer messages. My time with the online matches was superb because of no input lag, and since the game has been out in Japan for a while most of my matches were opponents overseas. Though I was getting creamed online, the lack of lag made the beatdown enjoyable. It should be noted that I have played the online matches with Japanese players before the launch of the American version, so expect an update on this after I’ve played online matches in my region. This game also supports Crossplay, so if you buy the Playstation 3 version, you can transfer your data to the Vita if you want to continue where you left off on the go. The game has Japanese voices with English subtitles. The voices are well done and have a range of emotions, so even if you don’t read the subtitles you can tell what mood they’re in. I will admit there is one fighter whenever she gets nervous I can’t help but think how cute her voice sounds. The soundtrack, for the most part, is upbeat and as a bonus the fighter’s theme song is played on certain levels. If you have played the arcade version you will be pleased to know that the main themes among other soundtracks are present in the game. Heck, they give you the option if you want to hear the arcade or console theme. Since the game does contain levels from Sega franchises, their tracks are present as well. When you fight they are constantly taunting each other, so if you play the game loud people around you may wonder what you are doing. I have read so many posts on the topic of the blogger lovers but this post is genuinely a pleasant article, keep it up.